The Nedo Aluminum Tripod with Quick Clamp and Retract-and-Go Lock is a lightweight tripod for lasers, levels, and theodolites. 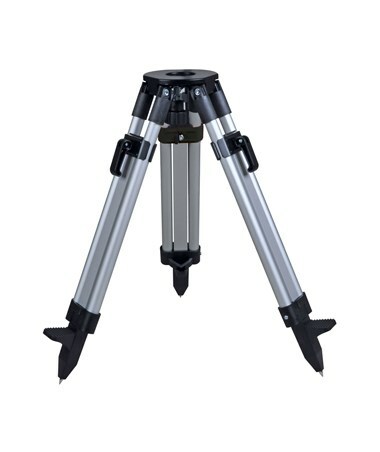 It features the Retract-and-Go transport locking system which allows rigid retraction of the tripod for a secure and easy storage and transport. Each extending leg has a quick release lever which clamps it to the desired length very easily. 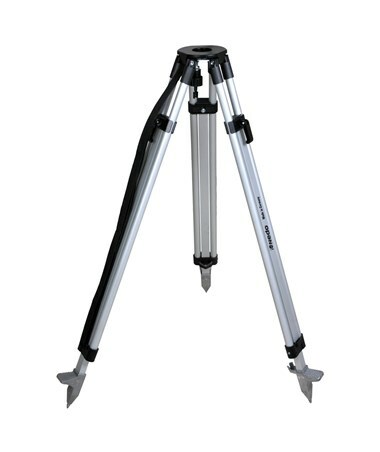 This tripod remains stable when used with the help of the brass hinge pins and the steel-pointed feet. Devices like dot and line lasers, rotating lasers, builders’ levels, and theodolites perfectly fit on the tripod’s 5.5-inch flat head and its 5/8-inch x 11 thread. 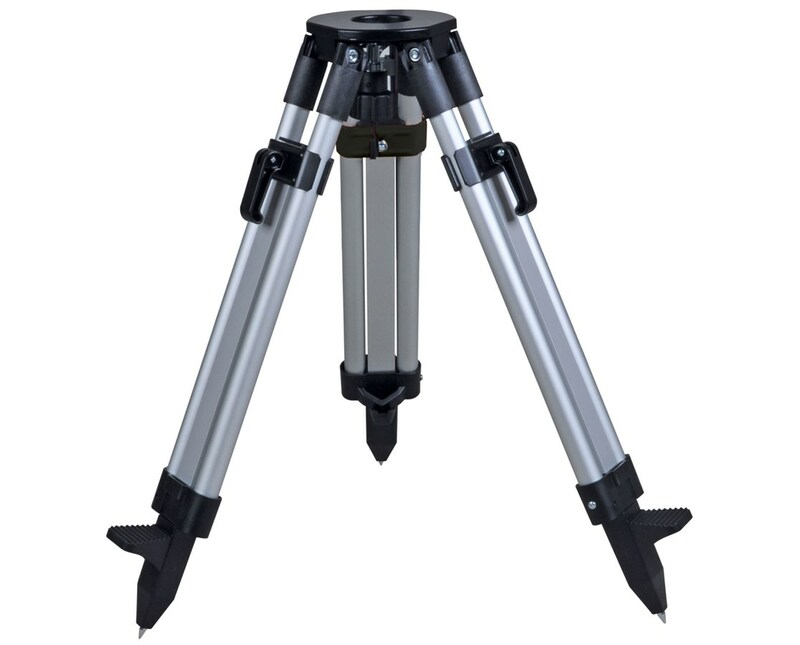 This tripod is made of anodized aluminum with a silver and black powder coat finish. It comes with a one-year manufacturer’s warranty and the heavy-duty type (200225) also includes a carrying strap. 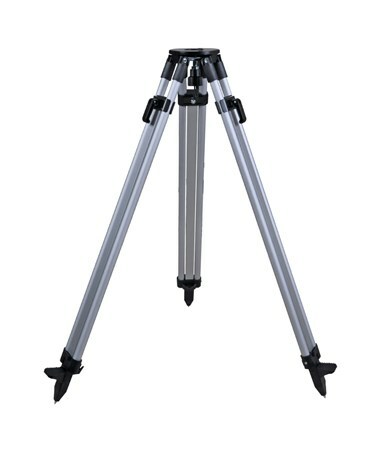 The Nedo Aluminum Tripod with Quick Clamp and Retract-and-Go Lock is available in different types. Please select your preference from the drop-down menu above. Short Medium-Duty extends 23" to 33"
Heavy-Duty extends 40" to 66"